I'm Tiny and I Know It! 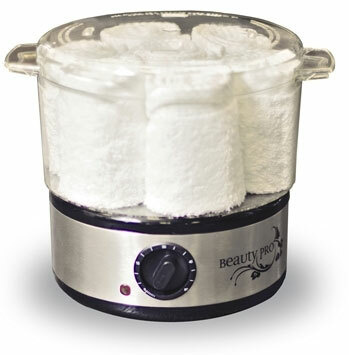 A few weeks ago I was at the New York IECSC - International Esthetics, Cosmetics and Spa Conference and while walking the show floor, I saw Beauty Pro's Mini Hot Towel Steamer, laughed and thought why would you want that little thing when you could get larger hot towel cabi for about the same price. Later that day, a co-worker and I were discussing the new products we saw at the show and the Mini Hot Towel Steamer came up... and it was then that it dawned on me. The very thing I laughed at was the very reason to buy it... IT IS SMALL. Many estheticians battle with a struggle of space in their treatment rooms vs. equipment needs and wants. So for many, SMALL IS GOOD. We revisited the idea and added them to Pure Spa Direct's offerings. Quick, easy, energy efficient, portable and compact. Go from dry towels to hot, moist towels in just 15 minutes. Ideal for small treatment rooms. 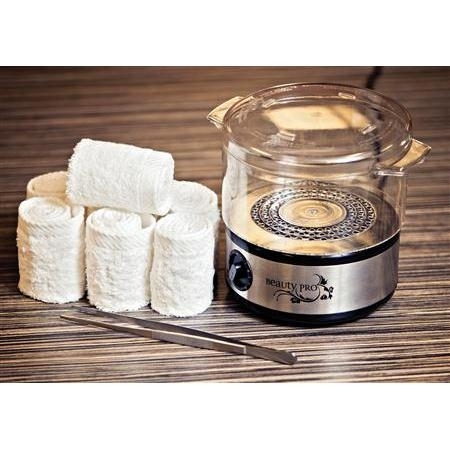 Auto shut off and run-dry controls make this a safe and effective steamer for your spa! Accommodates up to (6) 14” x 27” hand towels. 8” x 8” x 9”. Ideal for facials, salon work stations, portable for Mobile Therapists and great for Barbers offering wet shaves. Looking back, I feel silly I did not see the benefits immediately! Turns out, a mere 8" x 8" footprint is a good thing!